The LightningAir Air Purifier and Air Cleaner: How Does it Work? 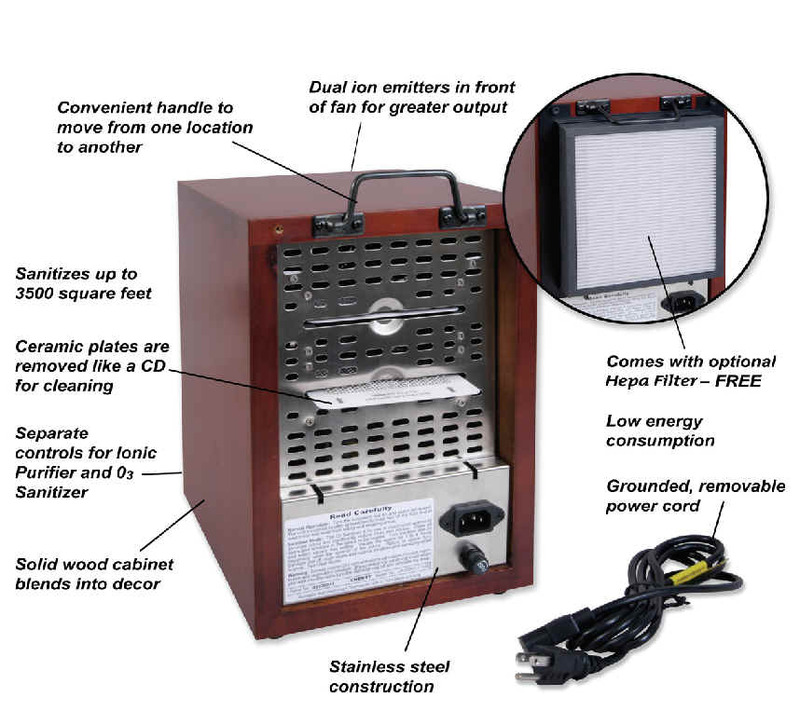 The LightningAir Air Purifier and Air Cleaner is not an air filter. Instead it re-creates the same process that Mother Nature uses to keep the air fresh and clean. This Air cleaner and Air Purifier generates the negative ions that natures uses to clean the air of dust and other particles. It also produces activated oxygen to remove odors without the use of fragrances. The LightningAir Air Purifier helps to break down mold, mildew and other pollutants at their source. LightningAir ionizer gives particles a negative charge. Particles clump together then fall out of the air. Normal oxygen is converted to ozone or activated oxygen which break down odors and others contaminants. Normal Oxygen (O2) molecules with two atoms of oxygen. The electrical current of lightning transforms oxygen (O2) molecules into ozone (O3), activated oxygen. Activated oxygen (O3) breaks back down into oxygen (O2), as extra atom attaches to pollution molecule. Extra oxygen atom causes breakdown of 2 pollution into benign substance. Why spend money in air filter replacement when the ionization and ozone production technology have revolutionize the air purification industry? Air filtration is thing of the pass, with the LightningAir Air Purifier and Air cleaner the air is purified not filtered; therefore there is not need for filter replacement, just wash the activated oxygen plaque easily removable from the back of the unit with soap and water and the system is all set. The O3 Sanitizer has a separate control and is most effective in unoccupied spaces. Activated oxygen is kept at modest levels in occupied spaces. To remove major odors, as well as mold & mildew, simply close off the area and let the Sanitizer do the work. Some use a timer to completely deodorize the home or office while away. Unused O3 reverts back to O2 in about an hour.